This is a first person account of one watch collector's journey in the world of watches. I’m still relatively new to watch collecting so I’m not going to try and impart technical knowledge about timepieces or offer tips about which watches are best. Rather, I’d like to share thoughts and feelings regarding my journey so far and how I got into the hobby in the first place. It would be impossible not to go back more than two decades to my early primary school days because that’s when my penchant for collecting things began. My paternal grandfather had a sizeable stamp collection and when I was seven, I followed him into the hobby. As an immunological researcher in communist China, he received and wrote letters to counterparts in many foreign countries. He used these correspondences to grow his stamp collection. I remember him speaking fondly of a Danish researcher he often traded letters with. He had no fewer than fifty stamps from the Scandinavian country. Although I stopped collecting stamps when I was ten, the experience taught me how to curate a collection. I would go to the library from time to time looking for reference books about stamps. My grandfather also had several old Chinese made manual-wind mechanical watches. I guess it was only a matter of time before I started collecting watches. In my teens I began to play Magic the Gathering and naturally turned the game into a collection of cards. I still have most of them today. Proper care and preservation of the cards came naturally to me. It was here where value became important and proper research became vital. While I never bought any cards for speculation or investment, I also didn’t want to overpay for cards that might become worthless in the future. Before 2018 I had never been a watch guy. When I was in grade school I hated wearing watches. I thought they were cumbersome. My father literally forced me to wear a Dickies watch everyday in sixth grade. He told me it was important to know the time. Beginning in junior high, I started using a cellphone and stopped strapping that annoying disk to my wrist. I didn’t wear another watch until I turned twenty five and started working. 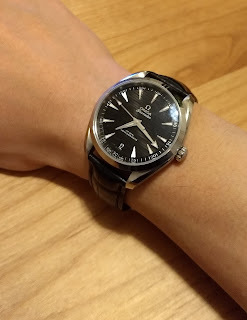 I spent about 150 dollars on a high quality Seiko quartz dress watch and wore it happily until I lost it. I then wore a Fossil quartz watch until I came to Japan. The first week at my new job, I promptly went to Bic Camera, a major retailer in Japan, and purchased a Seiko Solar quartz from their Dolce collection. It still performs admirably a year and a half later. 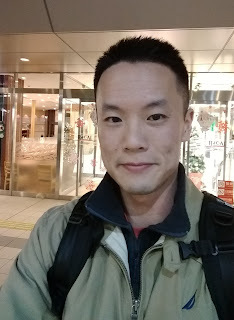 As for my transition to mechanical and automatic watches: I was hanging out with some friends in Shimo-Kitazawa this past in January. We wandered into a Hard Off store. They sell mostly second instruments and electronics. This one happened to have a few cases of used watches. I spotted a used Oficina del Tempo in the back for a shade under 39,000 yen, about $340. I liked the styling of the case and the fact it had an exhibition caseback, a see-through glass back. It had a classical dial design, but I now know a 44mm watch is a little too big for me. 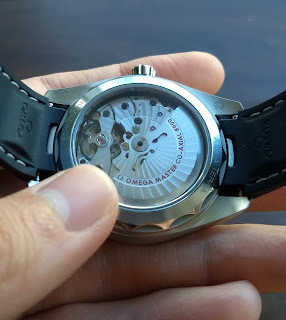 I didn’t understand the intricacies of automatic movements at the time, but I thought it was just the coolest thing to see parts of the watch’s internal workings. It was my first automatic watch and the most expensive piece up to that point. inside as on the outside. Fast forward to April 2018. I got married and decided it was time to purchase a new watch to usher in this new phase of my life. I had a budget in mind and researched within that budget. A Tag Heuer Carrera fit my budget and seemed to be what I was looking for, a sporty dress watch in the 40mm range. Before buying the watch, I joined some watch forums and earned about something called, “the gray market.” I was initially hesitant to accept purchasing from unlicensed retailers. With thousands of dollars on the line, what if something went wrong post purchase? Does the watch have a warranty? A couple of weeks later, I found a reputable semi-gray dealer here in Tokyo. Semi-gray means the dealer is unlicensed, but provides factory warranties for timepieces at gray market prices. For many watch brands and models, gray market prices can be anywhere from fifteen to fifty percent off of the retail price. Gray or semi-gray market purchases are not as secure as buying from an authorized dealer or boutique, but the savings eventually won me over. Having a factory warranty in place allowed me to have peace of mind in case there was something wrong with the watch later. I went to the store in Nakano Tokyo to verify the legitimacy of the establishment. After vetting the store, and thinking about the watch for another couple of weeks, I decided to make my purchase. Since there are heavy discounts to be had, I had decided to upgrade my original choice from a Tag Heuer to an Omega. With the gray market savings, I would be able to purchase a far superior watch for a bit more money. During this whole month of gray market research, I also became enthralled with the technical details behind watch movements. I determined that I wanted a watch with a reputable in-house movement, meaning it was designed and built by the watch company itself rather than purchased from a third party manufacturer. This made the watch have more value in my mind because it wouldn’t be just a case with off-the-self guts inside. After some color consideration, I decided I would go with a 41mm Omega Aqua Terra on a crocodile leather band with a black dial. It has a beautiful and robust movement which can be seen through the sapphire caseback, and is water resistant to 150 meters. It’s sporty, yet can easily be worn in formal situations due to the exquisite leather strap. I was sold. I called the shop to reserve the piece until the weekend. The days leading up to the purchase were fraught with sleepless nights imagining the watch on my wrist. It sounds ridiculous in hindsight, but the excitement was similar to when I purchased my first car. I t seemed like such a big milestone,. I was so nervous when I walked into the shop on that Sunday. When I walked out with the watch on my wrist, I couldn’t stop looking at it. Spending hours and hours over the course of the next months staring at the dial and admiring the beautifully finished movement through the backside. This purchase only served to open the floodgates to my watch obsession. Now I have six watches and I plan to add more eventually. This is my journey into watch collecting and everyone has a different one, but we’ll always remember the first with resounding clarity. Jeremy Xu is a watch collector living in Tokyo.